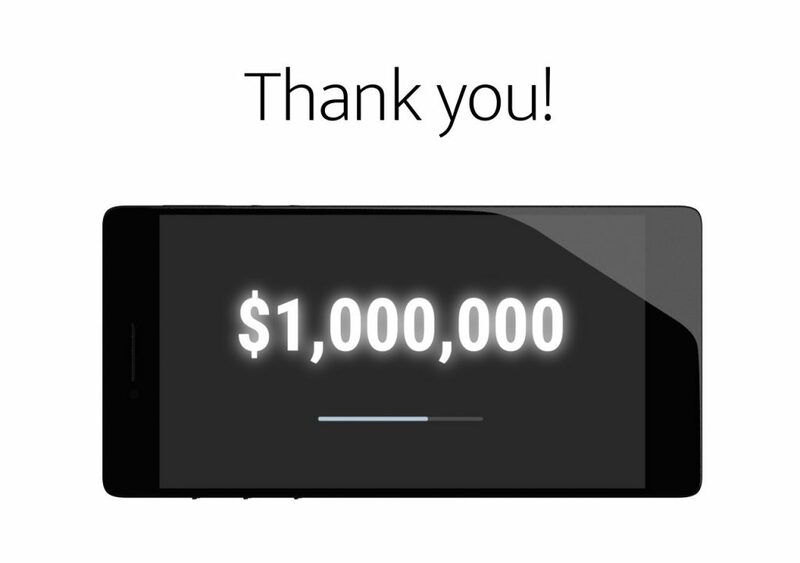 SAN FRANCISCO, Calif., October 4, 2017 — As overwhelming support continues to pour in from the people wanting to have an ethical mobile phone that avoids Google Android and Apple iOS, Purism, the manufacturer that builds high-quality, top of the range and freedom-respecting devices, earlier today surpassed the $1 million milestone in their current crowdfunding campaign which will allow the company to build the Librem 5: the first truly privacy and security focused smartphone that has been endorsed by Matrix.org, KDE and the GNOME Foundation. Purism, no stranger to successful crowdfunding campaigns, has built and established a strong reputation from programmers, security experts, and people wanting to protect their digital life by delivering on their promise to manufacture and distribute high-end privacy and security focused laptops that are the most secure high-end current computing devices on the market today. Crowdfunded campaigns for the Librem 15 and Librem 13 laptops in 2015 both doubled their funding goals and was delivered to backers. Reception and demand for both laptops fueled Purism to manufacture more units which were made accessible for General Availability earlier this summer. One of the more popular features from the Librem 15 and Librem 13 that will be included in the $599 Librem 5 is the hardware kill switches that allow users to turn on and off the camera, microphone, WiFi and Bluetooth at will. Providing a new alternative outside of the iOS/Android OS duopoly, the Librem 5’s isolation-based security-focused PureOS, upon shipment, in addition to the having the ability to integrate with both GNOME and Plasma Mobile, will offer basic communication services: phone, email, messaging, voice, camera, browsing, and will expand after shipment and over time to update with more free software applications, through shared collaboration with the developer community. Key to providing this in the Librem 5, Purism is partnering with open​ ​source​ ​communications​ ​project​ ​Matrix.org to enable end-to-end​ ​encrypted​, ​decentralized communication​ ​in​ the ​dialler​ ​and​ ​messaging​ ​app. The crowdfunding campaign raised $100,000 in the first 100 hours and raised over $200,000 in each of the last three weeks, reaching $1 million in individual preorders, enterprise sales and community support with just under three weeks left to go. Matrix Live – Purism Librem 5 Special!